Evidence Live 2015 was a resounding success. Delegates and speakers from around the world descended on Oxford for two days of provocative keynotes, engaging workshops, networking events and cutting edge research. If you missed the conference, or feel like reminiscing, you can watch highlights from the conference online. If you enjoyed Evidence Live 2015, you better mark June 22-24, 2016 on your calendar. Evidence Live 2016 is turning out to be a cracking event. Why? Well for several reasons. First, we added one extra day to the programme to allow more time to speakers, abstracts, plenaries and networking. Second, we allocated programme time for workshops and are inviting collaborators, innovators and researchers to submit workshops. Third, we anchored the conference around five main themes that address the cutting edge issues in EBM and healthcare. Lastly, we have a world-renowned line-up of speakers (see below). Peter Gotzsche, Director of The Nordic Cochrane Centre, and co-founder of the Cochrane collaboration. The final theme will reflect the future of Evidence-Based Medicine. It is critical to support the next generation of teachers, developers and leaders of evidence-based health care in disseminating the true values of evidence-based medicine. Several internationally renowned speakers are keen to suppport this theme in particular, so watch this space for more details! Beyond the incredible keynotes, there will also be plenty of workshops, fringe events and research presentations. Submit your workshop idea by November 30, 2015 and submit your oral or poster abstract by January 30, 2016 to one of the five main themes. Register online before Evidence Live 2016 sells out. 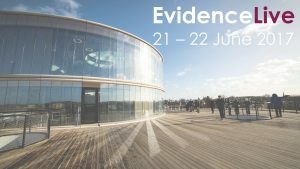 Like us on Facebook and tweet to us @EvidenceLive with your thoughts. Come to the conference, right here in the home of evidence-based medicine at the University of Oxford, June 22-24, 2016. Whatever your thoughts on this subject, we guarantee a provocative discussion of the evidence and, most importantly, about what’s best for patients. 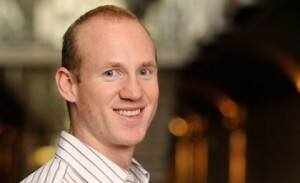 This blog was written by Peter Gill, member of the Evidence Live 2016 Steering Committee, paediatric resident at the Hospital for Sick Children at the University of Toronto and an Honorary Fellow at the Centre for Evidence-Based Medicine. Please take a look at the highlights video from 2017 and listen to podcasts recorded during the event.